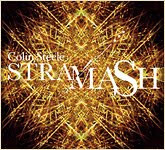 Since the release of his debut album Twilight Dreams in 2002, Colin Steele’s highly original and melodic Scottish folk-influenced jazz has won just about every UK jazz plaudit there is; from BBC Jazz CD of the Year and Jazz Review international CD of the Year (for his album ‘The Journey Home’) to CD of the year accolades in The Guardian, Observer, Independent and The New Statesman. Steele’s compositions are inspired by Scottish and Irish folk music, but are firmly rooted in the jazz tradition. Colin took up the trumpet in 1980 and joined his first jazz group the John Rae Collective at the age of 19 (which included Brian Kellock and Phil Bancroft). He then went on to work with Tommy Smith, Tom Bancroft Orchestra and pop band Hue and Cry. Between 1990 and 1996 he travelled Europe extensively, living in France, then London, then Italy. On his return to Scotland in 1997 he established the phenomenally successful live music club Midnight Blue, which ran for three years and attracted over 40,000 people during this time. Around this time he also began composing, forming his first quintet in 2000. Colin has also toured and collaborated with many international jazz artists, including The Bad Plus, Jon Christenson, Arild Anderson, Geri Allen and Steve Slagle. He is also involved with a variety of different genres, including Scottish folk music with the Unusual Suspects and Aidan O’ Rourke’s band Sirius, and with various dance and drum and bass projects including Aqua Bassino, Jo Malik and Yush 2K, as well as Latin and funk with his own bands Mas Que Nada and Melting Pot. Colin has also collaborated on a number of theatrical projects including writing the original score for Mike Maran’s highly successful theatre show ‘The Little World Of Don Camillo’, and he wrote and performed the score for ‘Look Back In Anger’ which starred David Tennant. Check it out some soundclips here. I hope you investigate it and enjoy it as much as I am.